Why should you translate your science? How do you present your idea to attract investors? What skills can you bring from a science career into a start-up? 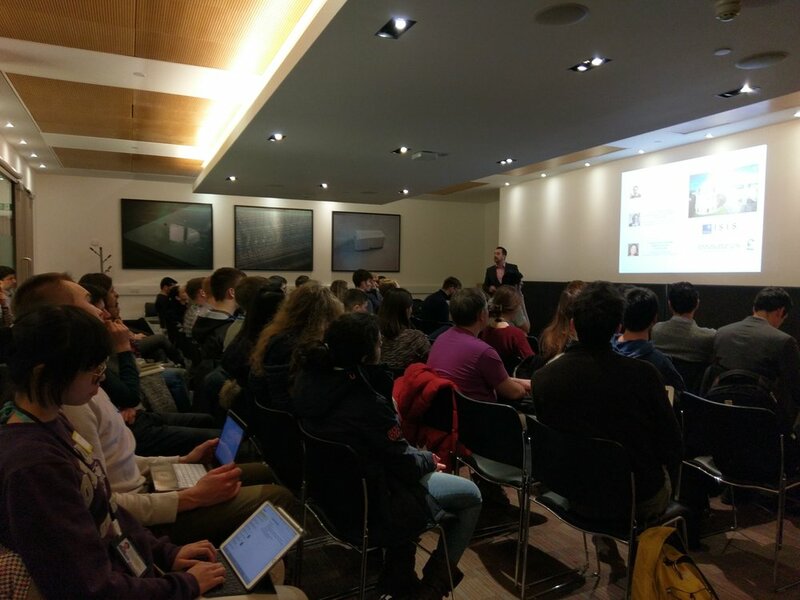 On Monday 12th February 2018, the lecture theatre of New Biochemistry in Oxford turned into a melting pot of PhD students, Post Docs, and senior researchers - from all walks of science - who gathered to learn about the process of taking a science based idea through the journey to a start-up, an established venture, and a concrete product that will cause impact in the world. The topic was approached from two different angles: That of a scientist-turned-startup-CEO, and that of an investor. The first of these was presented by Dr Michalis Papadakis, CEO and co-founder of Brainomix, a now global company using AI to augment stroke diagnosis; the second of these was presented by Lachlan MacKinnon, a principal at Oxford Sciences Innovation (a £600m fund) and investor in spin-outs such as EnzBond, SpyBiotech, and Oxford Nanoimaging. The event included interactive workshop sessions, where the participants had the chance to sit on both sides of the negotiation table in a start-up pitch setting. These discussion lead to some genuinely interesting ideas. The coverage below will highlight some of the underlying themes and most interesting ideas of the night. The first speaker of the night, Dr Michalis Papadakis, presented a case study on his company Brainomix, highlighting common steps of creating a science based start-up, and challenges one might face on the way. He stands as an impressive example, as he has managed after 14 years of research to make the successful transition to being an entrepreneur. But a common theme throughout the night was also that it was in fact by virtue of his background in research - the need he had discovered, the knowledge he had gained, and especially the network in research and the clinic that he had build - that the business succeeded. You just need to know what skills are translatable, and how to translate them. To translate research into venture, don’t take the science and try to fit it to a problem; start with the problem, and then apply the relevant science. After this followed a story of the company's journey- raising their first capital, moving into their first scrappy office, building the founding team, developing the first working product, getting clinical approval, and going to conferences and disseminating knowledge. Then came raising their next big capital round. The especially memorable milestones included their product launch and their first hospital installation. A game changer on their journey was partnering up with Boehringer Ingelheim (a major pharma company, and one of the few players in the stroke treatment area). This allowed them to take part in the angels initiative - an initiative sponsored by BI to improve the whole stroke journey. Here Brainomix was selected as the tool to improve imaging. Today the company is operating in 18 countries worldwide, with over 250 hospitals engaged, and 4000 CT scans of stroke patients being analysed by their software monthly. So what does it take to succeed? Throughout the story Papadakis explained several of his guiding principles, and what he believes are the key skills to succeed in turning science into business. One thing is dedication. Entrepreneurship is an exciting ride, but also a bumpy one. You need to be willing to work long hours when required, and sacrifices must be made as you prioritise the business over some other aspects of your life. When you are working in a team of just three people, if you don’t work, work will not get done. Second, building relationships is key. Spend time and resources to build relationships with customers, patients, physicians, researchers, pharma companies, and the government. And begin building them before you need them. Third, the most important factor in whether your business succeeds, is the team you build. This team will build the product and it's the team that you will spend endless nights with. Finally, on the point of the business pitch, he emphasised that scientist usually need to spend less time on what they normally talk about - the detailed science, mechanics, and technology; and more time painting a clear picture of the business plan of the company, the team behind the company, the planned milestones, go-to-marked strategy, and how they will use raised capital to scale the business. The presentation ended with a worthwhile consideration: Why do it? For Dr Papadakis it is the satisfaction as a founder, when you realise the impact of what you’re building on patients lives. One of his first points was that there is a big difference between what type of funding you’re looking to raise; are your prospective investors a venture capitalist (VC) fund, or an angel investor? It’s important to be conscious about this, as they rely on a bit different motivators for investing in your firm. VC funding is often dominated by the fact that the funds need to potentially be able to get a big multiplier. VC funds invest in several high risk start-ups knowing that most will fail, but this means that the few among the ones that survive need to ‘make it up’ for the failed ones. Thus the fund needs to get their initial investment back several times (the number of times is called the multiple, e.g. if they get 10 X their initial investment back upon exit, they will have had a multiple of 10). Angels on the contrary, are investing their own capital, and often don’t need as big a multiplier, but they need a big story behind the company. They need a vision that they can buy into, since they’re often investing in part based on their own interests or agenda. Second, there is a big difference between the ‘deep science’ space and the ‘tech’ space (the tech space referring mostly to internet based companies à la your typical Silicon Valley start-up). Which one are you? The tech companies are normally not primarily IP based, but are secured by the number of users they have, i.e. by ‘network effects’. The product is most often digital, which means that it’s very cheap to copy and distribute, potentially leading to large product margins. In this space, almost everyone follows the Silicon Valley model. On the contrary, in ‘deep science’, the idea itself is usually completely novel, and protectable (as long as you haven’t disclosed it yet - be careful!). Product margins in this area are (usually!) smaller, and it has way fewer investors. In addition to the lower chance of getting a return on the investment, investors may also shy away from such projects as it’s more difficult to really understand the details of a deep science based start-up. This ties nicely with another worthwhile point made later the night: As a scientist pitching a deep science based idea, if the idea is IP based - something you essentially developed - probably no one in the world will understand it better than you. Even if the investors are knowledgeable about the field (and remember most often they’re not! ), you will always be faced with overcoming a barrier of information asymmetry with your investors;. Getting your idea across will thus always be a kind of loosing battle, so think carefully about how you convey your message (and as mentioned above, remember that it’s not only about the science, but as much about the business model!). What often happens is that the investors might want to ‘outsource’ their evaluation of the science based part of the start-up to an expert. The information asymmetry is also one of the reasons why investors care so much about the team. Is there a publication record? Is there a big name professor on the team? • Build trust. And remember you don’t have very long to do this during a pitching session. They are essentially looking for people to spend the next 10 years with. • Be coachable. Be willing to show humility. • Get connected. Build your network strong. And before you need it. • Build competitive tension. Make it seem like every fund around is interested. • Give the impression that your business will happen anyway. 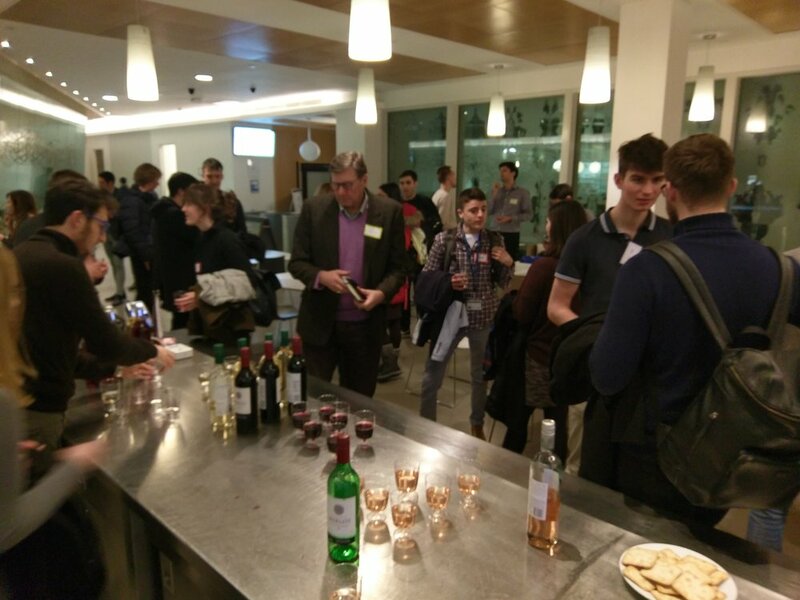 The Idea to Startup event ended with a lively networking session, where the audience had the opportunity to further chat with the speakers, representatives from PanaceaStars (an early stage deep science accelerator in Oxford), and each other, over wine and light food.